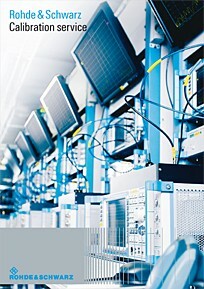 Precision equipment, optimally calibrated: Rohde & Schwarz service. Precision equipment belongs in the hands of experts. Calibration is as important to us as developing innovative T&M instruments. Our globally standardized T&M systems and technologies ensure reliable, efficient calibration. As the manufacturer, we provide cutting‑edge calibration service. In addition to hardware modifications and specific adjustments, we perform all necessary updates and repairs. Our ISO‑compliant calibrations help minimize measurement errors and scrap rates during production. They also help you ensure the consistent quality and reliability of your measurements and generated signals. Our various calibration products enable us to tailor our services to your individual needs. Many standards require accredited calibrations as proof of certification. Our accredited service centers not only measure accredited parameters, they also verify all product characteristics. We document each calibration with a certificate that contains both the initial and final status of your instrument.This enables you to evaluate your intrument's past performance and draw conclusions about future performance. Precise: Extensive instrument design knowledge and considerable test depth enable us to look ahead and identify deviations before they lead to problems. Comprehensive: Our comprehensive manufacturer calibration includes preventative hardware maintenance, adjustments and modifications as well as regular software updates. You can rest assured that your instruments are always state-of-the-art. Traceable: The traceability of calibration results is a key requirement specified by standards such as ISO 9001. The use of accredited calibrated working standards ensures direct traceability of measurement results. Quality‑assured: Internationally recognized certifications of our quality standards and management systems provide security for you and your business partners. 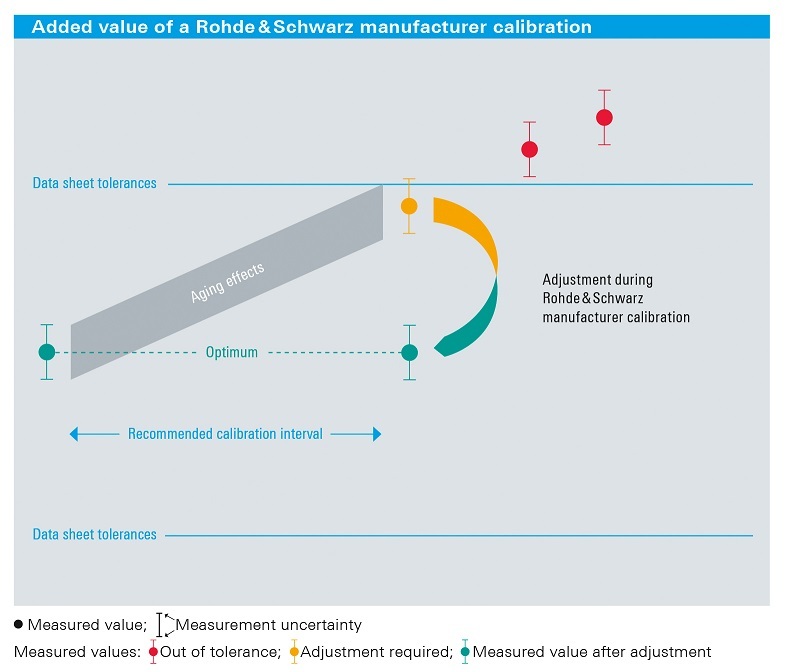 Keep your valuable assets up to date with a Rohde & Schwarz manufacturer calibration and benefit from the latest technological developments. We also offer on‑site calibration for maximum availability. Services from Rohde & Schwarz ensure you benefits that only the manufacturer can provide.